It's a Waterproof DC Buck Converter/Power Supply Module/Car Adapter,Input voltage: DC48V (wide voltage 36V-55V),Output voltage: DC 12V,Synchronous rectification, high conversion rate: more than 93%. 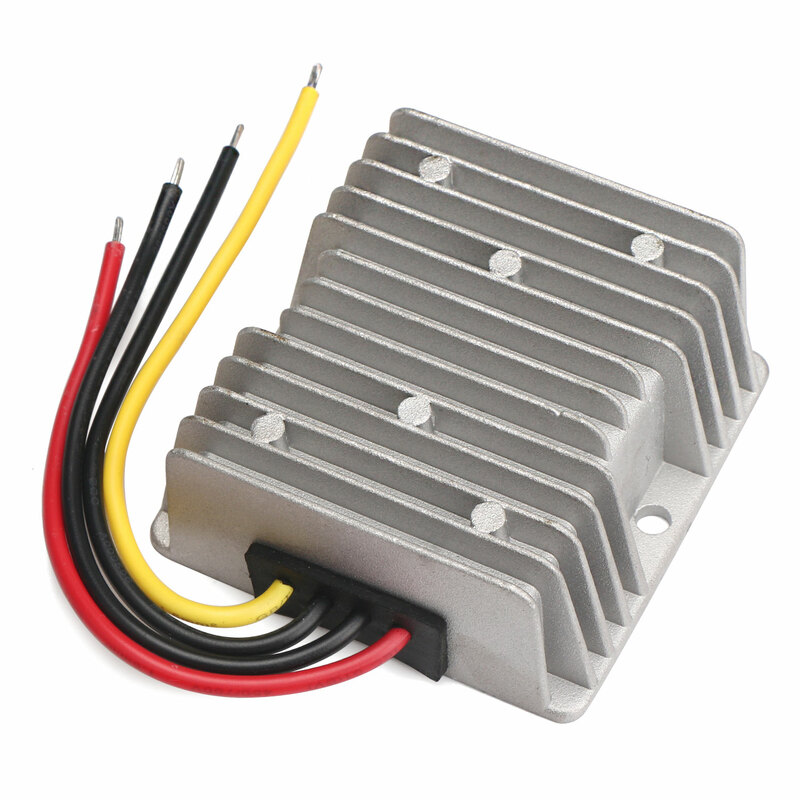 Module Properties: Synchronous rectification, low heat ,DC Buck Converter. Protection: Enter the high-voltage transient protection, output over-current protection, output short circuit protection, thermal protection chip. Application: Large trucks/Taxi radio /EMU/Car audio/LCD TV/Advertising screen/Monitoring System/Solar Power and DIY etc.